Trichomoniasis caused by Trichomonas vaginalis may lead to either a complete absence of symptoms or to severe inflammatory manifestations in infected women. Studies of the role of immune responses in the pathogenesis and varied symptomatology of this disease are lacking. Mice may prove useful as an experimental model for intravaginal trichomoniasis in developing an understanding of the role of local immune responses in the pathogenesis and varied symptomatology of this disease. The present study reports the levels of anti-Trichomonas IgA antibodies in serum and vaginal washes, and T-cell subtype and cytokine profile in vaginal cervical tissues of mice infected intravaginally with T. vaginalis isolates from 15 symptomatic and 15 asymptomatic women. It also correlates the responses with symptomatology of the patients. Successful intravaginal infection was established by inoculating T. vaginalis in BALB/c mice preinoculated with Lactobacillus acidophilus and pretreated with oestradiol. A significant increase in specific IgA antibody levels was detected with enzyme-linked immunosorbent assay in vaginal secretions and serum samples collected on the 7th post-infection day from animals infected with isolates from asymptomatic women when compared with mice infected with isolates from symptomatic women. T-cell subset analysis showed significant differences, with increased CD4+ T-cell count in animals infected with isolates from asymptomatic women compared with animals infected using isolates from symptomatic women. No difference in CD8+ T cells was observed between the two groups. Cytokine profile revealed significantly higher (P<0.001) production of γ-IFN and IL-2 in mice infected with asymptomatic isolates compared with animals infected with symptomatic isolates, using T. vaginalis crude antigen extract and nonspecific mitogen (ConA) as stimulants for vaginal cervical lymphocytes. However, no difference in IL-4 levels was observed in the two groups of animals. 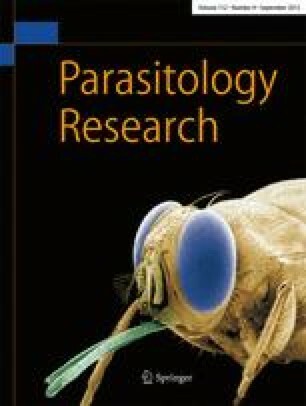 In contrast, significant increase in tumour necrosis factor (TNF-α) levels was observed in animals infected with asymptomatic isolates compared with those infected with isolates from symptomatic women and controls, thereby indicating that TNF-α may play an important role in the inflammatory response to trichomoniasis. The study further suggests that specific IgA antibodies might help to protect asymptomatic individuals from severe infection and T-lymphocytes may play an important function in the eradication of the parasite. The cytokine profile indicated the involvement of Th-1 like responses in mice infected with asymptomatic isolates, compared with those infected with symptomatic isolates.